Nearly every culture around the world has some sort of traditional food to help celebrate the incoming New Year. Whether used to signify good luck, wealth, health, or longevity, each food is rich with symbolism. Discover these New Year's food traditions from around the world! Long, continuous strands of pasta are symbolic of longevity and prosperity in many Asian cultures. Buckwheat soba noodles are often eaten at midnight as part of the New Years celebration in Japan. There is a trick, though. Be sure to slurp your whole noodle from beginning to end without it breaking, lest you cut your longevity short! Beans and lentils symbolize money in many cultures because their small, round shape resembles coins. 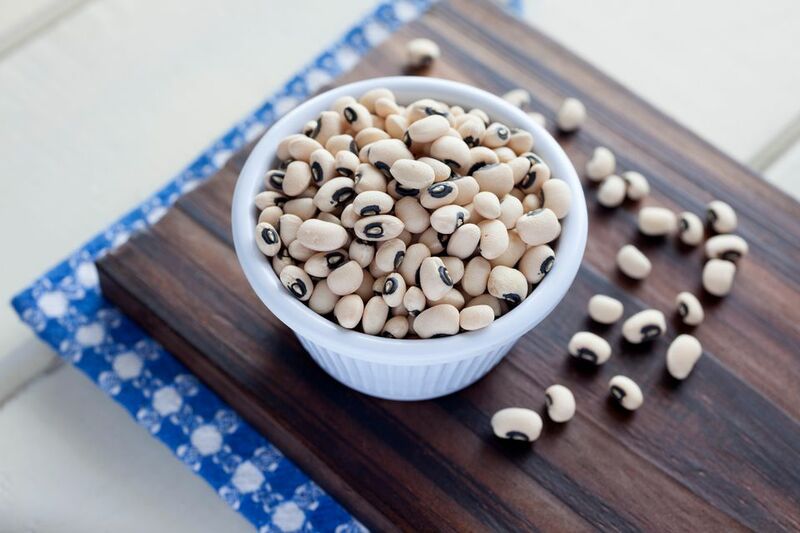 Black-eyed peas are a traditional New Years food across the Southern United States, where they are eaten as part of the dish Hoppin' John. Lentils, which particularly resemble coins with their flat, disc-like shape, are eaten in both Italy and Brazil as part of New Year's day celebrations. Greens, like cabbage, collards, or mustard greens, have long been a symbol of prosperity because their flat, green color resembles paper money. Cabbage, in particular, is a common New Year's day food in the United States, Germany, and Ireland. In the Southern United States, greens and beans are often served together for a double dose of prosperity in the New Year. Several cultures consume seafood on New Year's day to symbolize fertility, prosperity, or simply moving forward in life. Pickled herring is consumed in Poland and Scandinavia to symbolize prosperity, perhaps because of their silver color. Other cultures eat fish simply because they move forward through the water, which can symbolize moving forward into the new year. In Japan, fish roe is eaten to symbolize fertility, while shrimp is eaten to symbolize long life. Pork is a celebratory food of the New Year for several reasons. Fatty pork often symbolizes the fat of the land and is therefore eaten to symbolize prosperity and a good harvest in the new year. The way a pig roots into the dirt as it burrows forward is also symbolic of moving forward in the new year. From Hoppin' John in the Southern United States to sausage and Kielbasa in Europe or a whole roasted suckling pig in Cuba or Hungary, pork is a common character at New Years Day feasts. The tradition of 12 grapes for the new year originated in Spain but has since spread to many Spanish colonized countries like Portugal, Mexico, Ecuador, and Venezuela. The tradition dictates that 12 grapes must be eaten at midnight, one on each stroke of the clock. Each grape is representative of one of the twelve months and it's sweetness an indicator of that month's outlook.